There are few things in life that are more reassuring and comforting than having pure, natural water at your complete disposal. However, carrying heavy water bottles from one place to another can be truly exhausting. 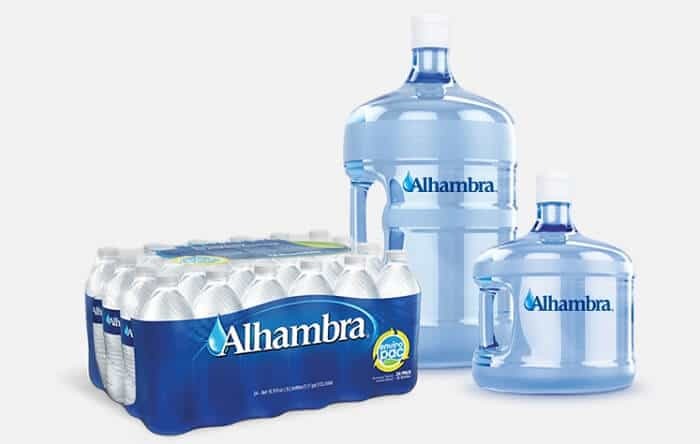 With this in mind, Alhambra, one of the most noteworthy brands owned by DS Water of America has set up a delivery service that is equal parts convenient and efficient. The present guide will go over the most important aspects of Alhambra Water Delivery. Owned by DS Waters of America (formerly McKesson), Alhambra Water is a brand of bottled water that is sold in the United States. With over ten years on the market, the brand has already established itself as reliable and valuable. As a result, it has become the number one choice for many homes across the country. The success that Alhambra Water has had made it one of the most important brands of water that are owned by DS Waters of America. This is no small feat considering that DS Waters is one of the leading companies US Home and Office Beverage Delivery market. Under its umbrella, the company has many of the most representative bottled water brands in the world, including Belmont Springs, Crystal Springs, Deep Rock, Hinckley Springs, Kentwood Springs, Mount Olympus, Sierra Springs and Sparkletts. One of the most relevant aspects of Alhambra Water (and all the other DS Water brands) is its wonderfully convenient delivery service. In addition to its bottled water products, Alhambra delivers coffee, tea, breakroom supplies and water filtration products. Fantastically, the company delivers these products directly to the doorstep of your home or office. Alhambra Water Delivery functions in a couple of different ways. As a customer, you can make a one-time order of one or more of the products offered by Alhambra. However, the most convenient modality of service offered by Alhambra is, without a doubt, its scheduled delivery. How to Sign Up for It? In order to sign up for Alhambra’s Water Delivery service, you need to first register as a customer at the company’s website. Once you have completed your registration, you will be allowed to choose a date for your first water delivery. Immediately after, you will be given the ability to create a custom schedule for all deliveries. On the first water delivery date, a route sales representative will personally supervise the set up of your new water dispensing equipment. Once the equipment has been installed, the representative will make sure both the cooling and heating systems of the cooler are working correctly. Apart from making sure everything is working to perfection, this Alhambra route sales representative will use a few minutes to educate you regarding the features and equipment usage. In order to be as convenient as possible for its customers, Alhambra Water Delivery is available every day of the week. As previously mentioned, customers can create their own customer delivery schedule. However, it’s important to mention that the specific timeframe in which Alhambra’s delivery services take place depends on the DS Waters’ operational hours. In most areas, the operational hours of DS Waters fall between 7 AM and 11 PM. However, this may vary according to the specific area where the company’s delivery services have been requested. In order to find out what Alhambra Water Delivery’s hours are in their area, users can consult the delivery slots that are available for viewing on the company’s website. In addition to the cost of the delivery package of your selection, you will need to pay a $2.75 service fee for each Alhambra Water Delivery dropoff. • Breakroom supplies. The company wants to help people make the most of their breaks at work. That’s why Alhambra Water Delivery also offers its customers a variety of breakroom supplies. This includes creamers and sweeteners to cups, stirrers, lids, sleeves, straws, cutlery, plates and napkins. • Water dispensers. Apart from delivering the best water directly to your home or office, Alhambra Water Delivery provides the means for you to enjoy it with ease and comfortability. Elegant and versatile, the water dispensers the company offers are an efficient way to manage and consume the drinking water of your home or office. • Water Filtration equipment. First you need to connect the filtration systems to an existing supply. Then, they will provide clean drinking water. The latter has no potentially harmful impurities and contaminants. 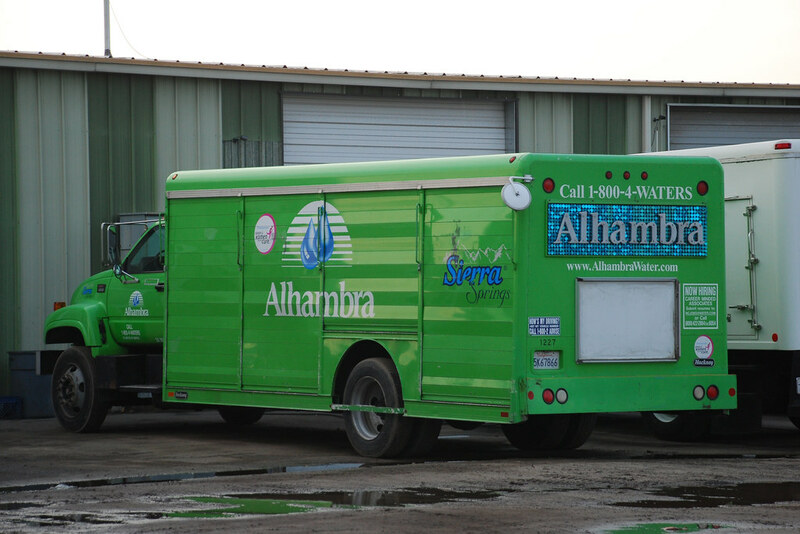 Without a doubt, Alhambra Water Delivery offers a valuable set of services that most customers find both convenient and reliable. Have you tried any of these services? If you have, please leave a comment detailing your complete experience! Hey Buddy!, I found this information for you: "Alhambra Water Delivery 101: Areas, Hours, Fees". Here is the website link: https://all2door.com/alhambra-water-delivery/. Thank you.